Have you ever been taken to places or moments by something intangible?.Have you ever been living in past and breathing in present ?.Aroma has this power.Shut your eyes and smell the freshly cut grass ,what does you mind create?.We all have the power which immerses us to old moments as we come across the aroma from our past.The smell from glue has the power to take you back to childhood ,when you were proactive to creativity.If you accidentally pick a soap you’ve been using 4 years ago, the aroma of your old soap has tendency to recreate the memory from the past .You actually recreated moments from the past.If you come across a perfume your ex uses it.The first image that crosses the mind is of him and memories are flooded to your mind .This is known as “odor- evoked autobiographical memory”.Among these five senses ,the sense of smell has maximum efficiency to recall the memories. Isn’t it amazing!how these aromas are stored in our memory and how we are still attached to our past.The past which has never gone, just not created in our mind. 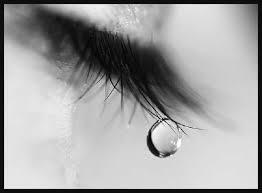 O tears sometimes you are essential. Hello, “Mr.Darkness” you have given me the purpose to live.This life has a purpose to fulfill.The wide beam of light striking the shots of happiness.For me, you are my better half (Mr.Darkness).Without you, I am incomplete and aimless.Every day is the festive day if one has a purpose to fulfill; the purpose must imprint a strong impact on lives.In the high and low I am expected to be smiling.But dear, I too have high and low.I may also feel low and behave dim. The golden body of sand drifts with the gentle blow of wind. The glow reflecting her as an independent lady, who undergo various emotion throughout the day. The cold breeze whispers to her ear; playing this seductive game. The shore where he(sea) kisses this independent lady; the way he flows over her, his gentle touch. She falls for his immense gesture losing her own identity. Their body changing color, heart singing the same melody. Their intense adrenaline rush, the longing for each other let them make out under the open sky. The world witness the pure exchange of happiness with no frontier. The way he plays with her hair; holding her wrist; leaning her head, leaves her to dwell deep into him. The deep she dives the more her urge to flow. His stay was just for short span; leading her to take the longer breath. With every passage of time, the sun is dawning: her glow is dawning. He was the soldier and hence has to return to his battalion. She didn’t see him coming, indeed faith let them bound. The promises were unsealed, the love was incomplete yet they have faith.